First in a series well worth reading, by author Tracey Cooper-Posey about getting books from other sources onto ereaders including Kindle. Copied post from a terrific author Tracey Cooper-Posey: great for reference. 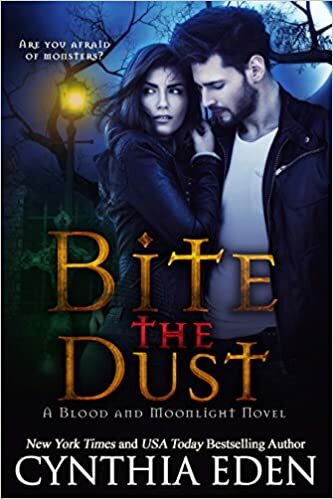 I’ve really enjoyed some of Cynthia’s suspense reads, been five star crackers for me, but the couple of paranormals I’ve read have been good, but not great. Sadly this book too fell into that category. I love the whole shapeshifter/vampire world, and each author puts their own spin on it. For first books that means as well as a good story the author has to introduce characters, types and world settings. A tough task, and why I’ll usually try second books even if the first doesn’t seem that great. I’ve come to love some series where I wasn’t convinced by book one, but on rereading after more of the series was out I’ve felt differently about it.That may eb the case with this book, I enjoyed the world setting but the characters and the mystery seemed a bit simplistic. . I really wasn’t convinced of the romance between Aiden and Jane. Sometimes that instant attraction works, sometimes it doesn’t, and for me here I wasn’t feeling it. Jane’s new to the area, and its full of surprises, but she’s has some experience in the past of the paranormal although no-one believed her, so when she finds out more about what’s really going on it doesn’t take too much for Aiden to convince her. They still have a few head to heads though when she’s determined to do it her way and he says He’s The Law there! I didn’t really feel I was in New Orleans either – maybe later in the series. The story itself is fairly simple and it wasn’t that hard to guess what was going on – and even who was behind some of the things that happened. It made for a fun, one off read and I’ll try book two, but I’m not wholly convinced its a series I’m going to love. Stars: Stars: Three, a slow start but still a fun read.